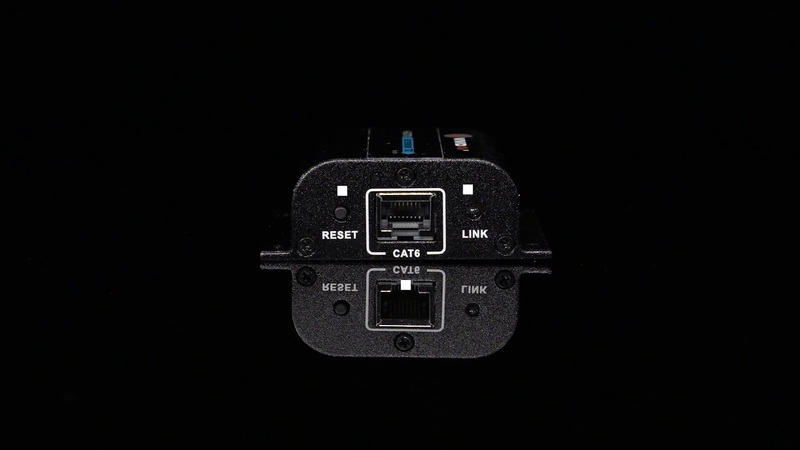 The AV-HDMIEX060C1 HDMI Extender is a simple to use devices that allows an HDMI signal to be extended up to 196 feet by using a single CAT6 cable. With this extender, you are able to break the distance limitation of the HDMI standard and use CAT6 cable, which has much more flexibility than a standard HDMI cable. Both sender and receiver units come equipped with an HDMI cable attached so there is no need to spend extra money on additional HDMI cables. Because HDMI and DVI both use digital signals, this HDMI extender is completely backwards compatible with the DVI standard. Simply use an inexpensive DVI to HDMI adapter and you will be on your way to digital bliss. The AV-HDMIEX060C1 is completely HDCP which will allow seamless integration in to your home A/V system. USB to HDMI?!?! This device makes it easy. So far, the product is working fine. The instructions are not that clear and could be improved a lot.